New research suggests that plankton, tiny shrimp that are extremely common in the Earth's oceans, play a large role in regulating the temperature of our oceans by forming underwater clouds that block sunlight. A team of scientists from the University of Washington and the Pacific Northwest National Laboratory studied the southern ocean regions, between 33 and 35 degrees in latitude. They found that an increase in brightness reflects about four watts of solar energy per square meter every year. 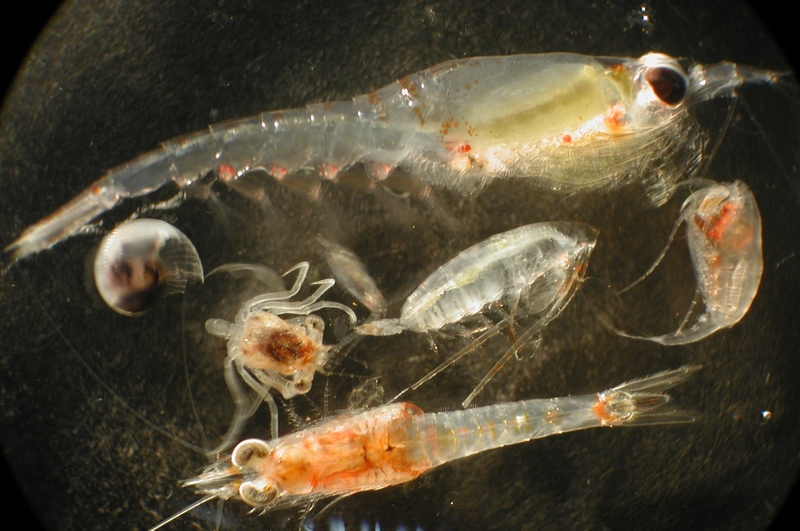 Plankton populations increase the reflection rate in the southern regions during the summer, which in turns helps to keep the water temperature lower by preventing solar rays from being absorbed. This helps ecosystems remain in balance, as higher temperatures slow down biological processes. By looking at NASA satellite data, the researchers found that the dimethyl sulfide, created by plankton, is carried into the atmosphere, which then helps the aerosols (or fine gas particles) in the atmosphere move downward. This aids in the production of water particles that make up clouds, which help block sun rays.